When Luke Wright's (Statham's) cage fighting life is turned upside down by the Russian Mafia all seems lost. He's a ghost in his own city until he encounters Mei (Chan), a young Chinese girl whose photographic memory just might get them killed or be their redemption. The Triads, Russian Mob and crooked NYPD are all gunning for the former. Have you seen a Jason Statham film before? Transporter? Killer Elite, maybe? Did you enjoy it? Great, you're going to love this so. Just as Burton and Depp wheel out the same dark humor over and over under the guise of current movie making so too does Statham, only in place of the quirkiness is eye watering hand to hand combat and questionable acting ability. In Safe we are treated to a somewhat complicated plot line and considerable subtitling, but that's ok because we came for the fisticuffs. 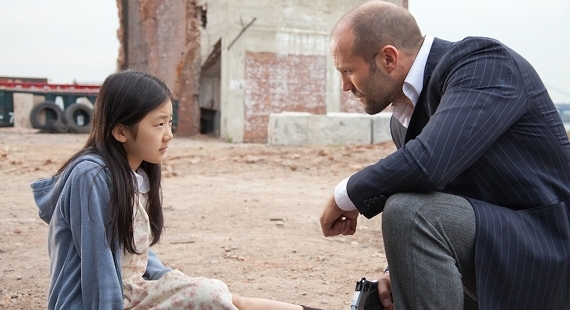 Statham tries invariably hard to provide emotional depth to his character but it's just not his strong point, Chan is the perfect foil to his tough guy persona though, her script is funny and she's a delight to watch. Unfortunately the rest of the cast are shoehorned in with every cliché driven line and racial stereotype the writers could muster. We’re never told why exactly Wright would risk life, limb and murder countless baddies in order to keep Mei ‘Safe’, nor are we given anything resembling a credible plot line when we learn how high the corruption goes. What we do know is that Mei has memorized a code that everyone wants and are willing to maim and kill indiscriminately to get. The fight scenes, car chases and shoot ‘em ups are great fun and excellently executed but just too few and far between for any Statham film worth its salt. The body count is extraordinarily high but the characters and ‘comedy’ is so poor that Safe is never more than a forgettable flick. 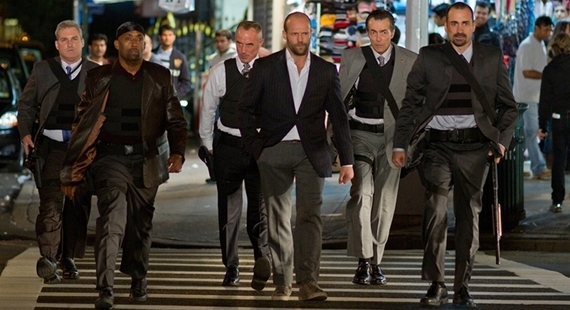 Statham is very good at what he does, if what he does is action and gritty fight scenes. If you're a fan then you'll want to spend your tenner and see this on the big screen. Otherwise, I’d advise you wait for this one on DVD, though the lads disagree wholeheartedly. They reckon Safe deserves 5 cherries, I reckon they’re adopted.